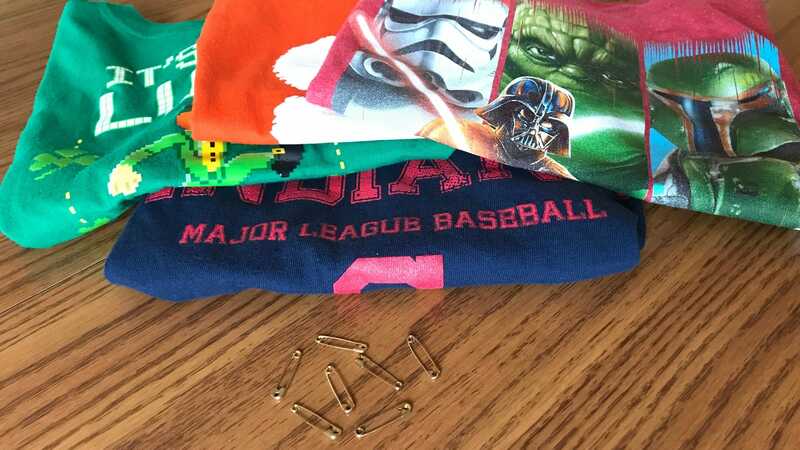 At least once or twice a month, I notice that one of my son’s T-shirts has gotten too small or the hemline of a pair of pants has crept up too far, and I think to myself, “It’s time to put that in the ‘Donate’ pile.” Each time, I’m sure I will remember which item is ready to head out the door. We have a jar of safety pins on the washer. When the boy outgrows something, we put a pin on the top right before we put it in the hamper. That way it is labeled for the resale box and it doesn’t go into the dresser by mistake.